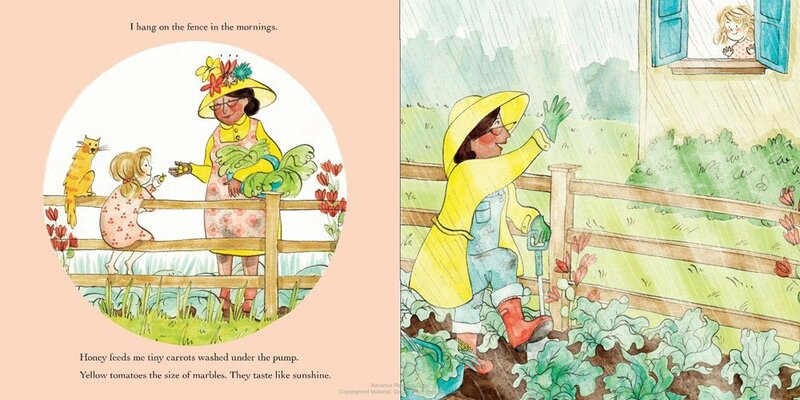 Summary: Laurel loves hanging out with her neighbor, Honey, who works in her garden rain or shine. She also enjoys the Friday nights when Honey comes to dinner, bringing with her the fruits of her labors. Sometimes the two of them picnic in the garden, staying there until the stars come out. Then one terrible day, a “For Sale” sign appears in Honey’s front yard. Honey has to move to take care of her mother. Laurel is heartbroken, but she helps Honey plant strawberries and an apple tree that her neighbor says will be enjoyed by the new people. 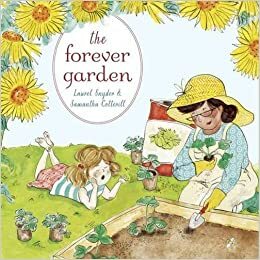 When a new family appears, with lots of young kids, Laurel puts on Honey’s old straw hat and goes out to help them find their way around their garden. An introductory author’s note describes the Talmudic story that inspired this book. 40 pages; ages 4-8. Pros: A beautiful story of friendship and creating something positive that will carry down to those who come after you. Cons: Honey seems to do a lot of her gardening in a dress, which seems a bit impractical.